Foreign Minister Sushma Swaraj on 11 December called on Chinese Foreign Minister Wang Yi in New Delhi. India is hosting the 15th Russia-India-China (RIC) Foreign Minister level trilateral meet. Russian Foreign Minister Sergey V Lavrov also arrived here on Sunday to attend the meeting. The three foreign ministers will issue a joint statement as well. The discussions will be followed by a working lunch. The platform of the three major BRICS members is aimed at facilitating common position on key global challenges - radical ideas, terror threats, Afghanistan and West Asia. 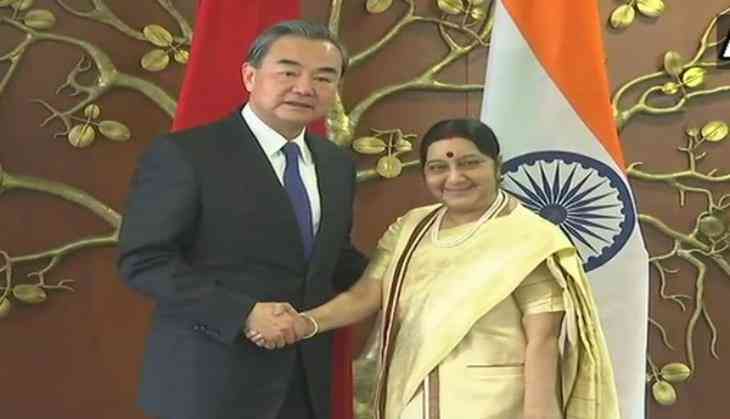 Swaraj will hold bilateral meeting on the sidelines of RIC with Wang Yi and Sergei Lavrov who will be the first minister from Beijing to visit India after the Doklam episode. China and India are at odds on issues like NSG membership for India, Masood Azhar's ban or even India's participation in One Belt One Road Initiative (OBOR). Earlier, the RIC meeting had been scheduled for April.